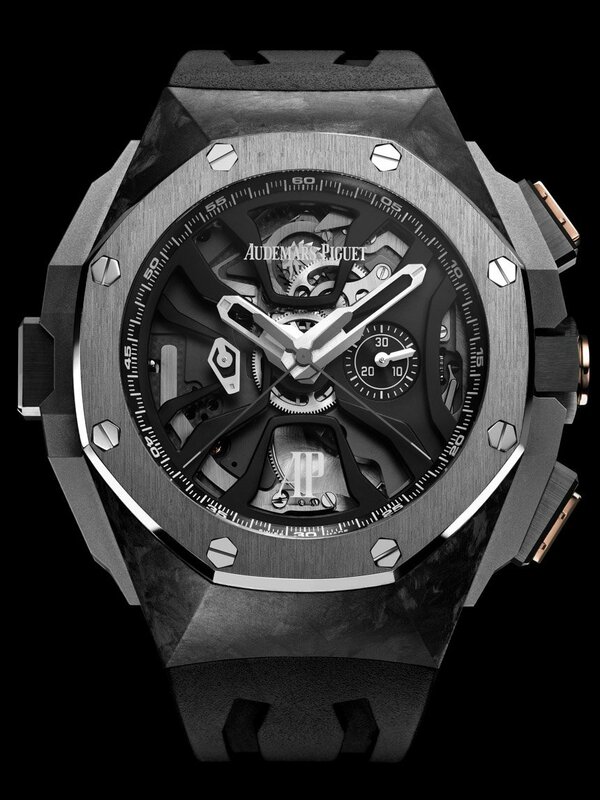 The Audemars Piguet Royal Oak Concept Laptimer, highly complicated movement was created to be able to measure and record a series of consecutive lap times. It availables in a limited edition of 221. 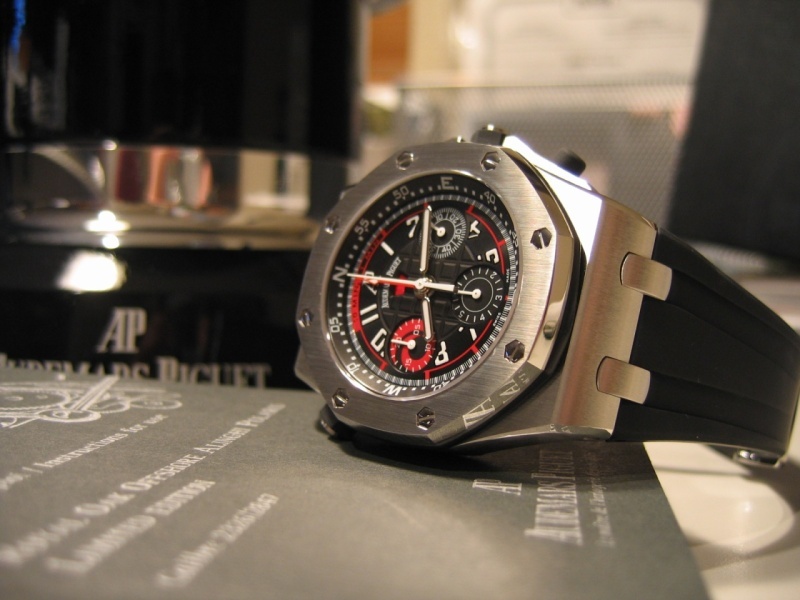 The Audemars Piguet Royal Oak Concept Laptimer is different to other split seconds chronographs in that it blends a rattrapante with a flyback chronograph in a very interesting way, that allows one to measure, record and display a record time with one seconds hand, while the other can be stopped, reset and restarted independently from the recorded time – and all this happens with the press of just one button, the one located at the 9 o’clock position and that is bearing the MS logo. In practice, when a car starts lapping a track, the chronograph is started. As the car does its first time, the button at 9 is pressed, stopping one of the hands to display the recorded time, while the other gets restarted at the exact same time to start measuring the second lap. My understanding is that the record time can be left intact until it is beaten. That means, using the reset button at 4, the other seconds hand can be restarted with the flyback function as many times as necessary to time consecutive laps until the record has been beaten. 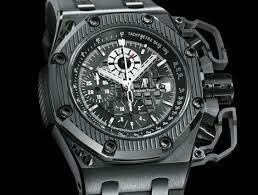 For all these functions to work flawlessly, a massive and highly complicated movement had to be created. 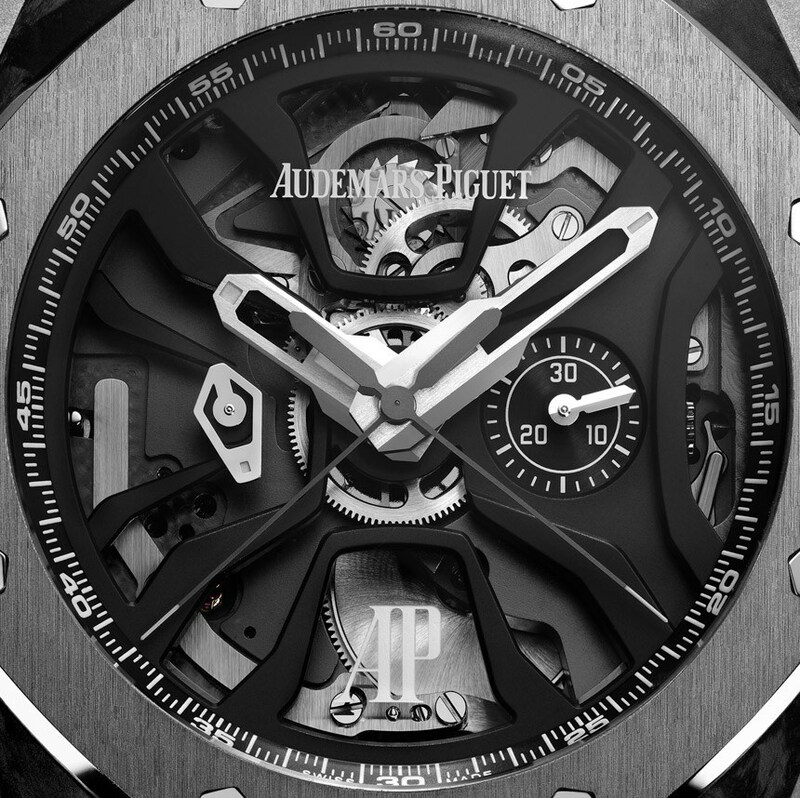 As you see in the image above, the skunkworks of Audemars Piguet Renaud & Papi installed a metropolis of gears, wheels, cams, and springs onto the back of the movement. 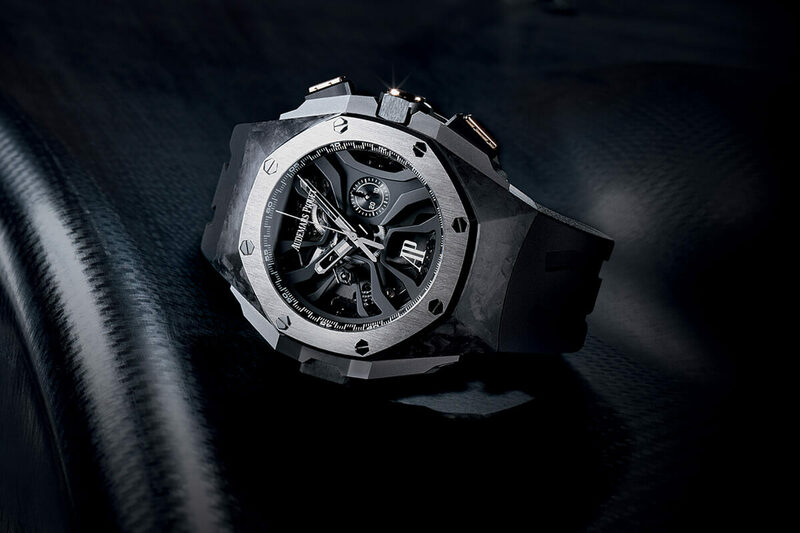 The component count of the 34.60 millimeter wide movement totals at 413 – that is a lot for a watch that has “just” one added function, and shows just how complicated that one complication is. Unlike normal chronograph calibers, the hand-wound 2923 caliber comprises not one, but two column wheels. 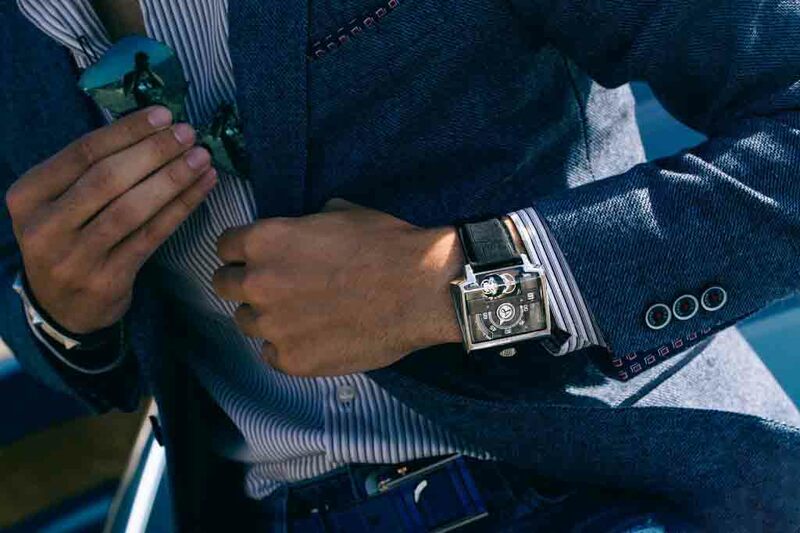 Judging from the guaranteed 80 hours of power reserve, we can tell that there will be sufficient power and torque coming from the mainspring to ensure accurate timekeeping. 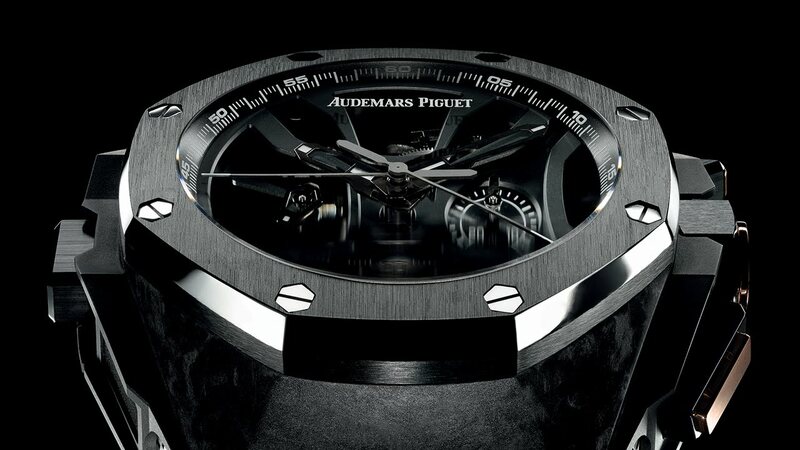 At 44mm wide and 12.70mm thick, the Audemars Piguet Royal Oak Concept Laptimer is relatively sensibly sized, especially when taking all the tech inside into consideration. The large, protruding pushers and case extensions surely add to that 44mm size, but the Concept case with its angled lug structure and the relatively slim shape should handle that well. 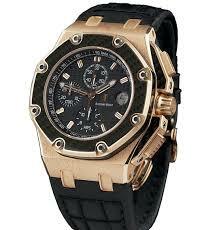 The Audemars Piguet Royal Oak Concept has seen many iterations over the years, but this one with a forged carbon base, titanium bezel, and crown protectors, set alight with pushers in pink gold and black ceramic, could just be the strongest member of this slowly but surely expanding family of highly complicated Royal Oaks. The dial has large openings to show off some of the movement parts, including a column wheel at 12 o’clock, and, while skeletonized hands don’t often work well on open-worked dials, these white gold hands with luminescent coating are so wide and long that they not only look terrific, but are highly legible. With everything being so over the top here, I wish the small minute counter sub-dial was a bit bolder in its design, matching the bespoke look of any and all other components of the dial.